The economic liberalization in India refers to ongoing economic reforms in India that started on 24 July 1991. After Independence in 1947, India adhered to socialist policies. Attempts were made to liberalize economy in 1966 and 1985.Till today Agriculture remains a sensitive issue in India with almost 70% of its population still directly dependent on it. Indian agriculture, unlike big capital based European agriculture, revolves around numerous small farmers, who earn their livelihoods from cultivating small plots of land, and with limited access to resources like water, seed and fertilizer. Until June 1991, India followed a very restrictive economic policy characterized by exclusion of the private sector from many important industries. India faced liquidity crisis in 1991. The balance of payment situation had deteriorated so sharply and the foreign exchange reserves had fallen so low that, the possibility of default in payment was imminent. The fiscal situation has deteriorated sharply. The budget deficit as well as overall fiscal had sharply increased, contributing on the one hand to large increase in money supply, and on the other side to sharp increase in interest payments. The economic liberalization ushered in June 1991 changed the scenario very substantially. The government had undertaken wide ranging measures to promote exports even prior to 1991, but even then the coverage of imports by export earnings was quite low. This significant change in the trade balance position seems to have been realized on account of various export promotion measures, which the government has undertaken recently. The biggest input for farmers is seeds. Before liberalization, farmers across the country had access to seeds from state government institutions and the seed market was well regulated, with liberalization India’s seed market opens to global agribusiness. This hit farmers and unregulated market, seed prices shot up and fake seeds made appearance in a big way. This also happens in fertilizers and pesticide market and it effects agriculture in India.The effects of trade liberalization on selected commodities namely rice, maize, rapeseed-mustard and chickpea at the national level and farm level. Liberalization and its resulted government policies had direct and indirect effects upon agriculture. The most significant related to the efforts at reducing subsidies which affected both agricultural producers and consumers, and the reduction of public expenditure which would have benefited cultivation. Thus, both food and fertilizer subsidies were sought to be reduced over this period. However, both of these strategies, which involved raising the prices for consumers of both food and 10 fertilizers, had undesirable and even counter-productive effects, leading to the paradoxical results of reducing consumption and simultaneously increasing subsidies. Agriculture employs 60% of the Indian population today, yet it contributes only 20.6% to the GDP. (Isaac, 2005) Agricultural production fell by 12.6% in 2003, one of the sharpest drops in independent India’s history. Agricultural growth slowed from 4.69% in 1991 to 2.6% in 1997-1998 and to 1.1% in 2002-2003 (Agricultural Statistics at a Glance, 2006). This slowdown in agriculture is in contrast to the 6% growth rate of the Indian economy for almost the whole of the past decade. Farmer suicides were 12% of the total suicides in the country in 2000, the highest ever in independent India’s history. (Unofficial estimates put them as high as 100,000 across the country, while government estimates are much lower at 25,000. This is largely because only those who hold the title of land in their names are considered farmers, and this ignores women farmers who rarely hold land titles, and other family members who run the farms. Agricultural wages even today are $1.5 – $2.0 a day, some of the lowest in the world. (Issac, 2005) Institutional credit (or regulated credit) accounts for only 20% of credit taken among small and marginal farmers in rural areas, with the remaining being provided by private moneylenders who charge interest rates as high as 24% a month. An NSSO2 survey in 2005 found that 66% of all farm households own less than one hectare of land. It also found that 48.6% of all farmer households are in debt. The same year, a report by the Commission of Farmer’s welfare concluded that agriculture was in ‘an advanced stage of crisis’, the most extreme manifestation of which was the rise in suicides among farmers. Given the performance of agriculture and figures of farmer suicides across the country, this can be said to apply to Indian agriculture as a whole. The biggest problem Indian agriculture faces today and the number one cause of farmer suicides is debt. Forcing farmers into a debt trap are soaring input costs, the plummeting price of produce and a lack of proper credit facilities, which makes farmers turn to private moneylenders who charge exorbitant rates of interest. In order to repay these debts, farmers borrow again and get caught in a debt trap. The researcher will examine each one these 3 causes which led to the crisis in Andhra Pradesh, Kerala and Maharashtra, and analyse the role that liberalisation policies have played. Andhra Pradesh’s experience is particularly relevant in this analysis because of its leadership. Chandra Babu Naidu, Chief Minister of Andhra Pradesh from 1995-2004, was an IT savvy neo-liberal, and believed that the way to lead Andhra Pradesh into the future was through technology and an IT revolution. His zeal led to the first ever state level (as opposed to national level) agreement with the World Bank, which entailed a loan of USD 830 million (AUD 1 billion) in exchange to a series of reforms in AP’s industry and government. Naidu envisaged corporate style agriculture in AP, and implemented World Bank liberalisation policies with great enthusiasm and gusto. He drew severe criticism from opponents, saying he was using AP as a laboratory for extreme neo-liberal experiments. Hence, AP’s experience with liberalization is critical. Andra Pradesh’s experience is particularly relevant in this analysis because of its leadership. Chandrababu Naidu, Chief Minister of Andhra Pradesh from 1995-2004, was an IT savvy neo-liberal, and believed that the way to lead Andhra Pradesh into the future was through technology and an IT revolution. His zeal led to the first ever state level (as opposed to national level) agreement with the World Bank, which entailed a loan of USD 830 million (AUD 1 billion) in exchange to a series of reforms in AP’s industry and government. Naidu envisaged corporate style agriculture in AP, and implemented World Bank liberalisation policies with great enthusiasm and gusto. He drew severe criticism from opponents, saying he was using AP as a laboratory for extreme neo-liberal experiments. Hence, AP’s experience with liberalization is critical. Actual declines in Central government revenue expenditure on rural development, cuts in particular subsidies such as on fertilizer in real terms, and an the overall decline in per capita government expenditure on rural areas. Reduction in public investment in agriculture, including in research and extension. Very substantial declines in public infrastructure and energy investments that affect the rural areas, including in irrigation. Reduced spread and rising prices of the public distribution system for food. This had a substantial adverse effect on rural household food consumption in most parts of the country. Financial liberalization measures, including redefining priority sector lending by banks, which effectively reduced the availability of rural credit, and thus made farm investment more expensive and more difficult, especially for smaller farmers. Liberalization and removal of restrictions on internal trade in agricultural commodities, across states within India. Liberalization of external trade, first through lifting restrictions on exports of agricultural goods, and then by shifting from quantitative restrictions to tariffs on imports of agricultural commodities. A range of primary imports was decreases and thrown open to private agents. Import tariffs were very substantially lowered over the decade. Exports of important cultivated items, including wheat and rice, were freed from controls and subsequent measures were directed towards promoting the exports of raw and processed agricultural goods. In terms of fiscal policies, the reduced spending of central and state governments was the most significant feature. Due to tax reforms, the tax/GDP ratio declined at central level. Central transfers to state governments also declined. State governments were forced to borrow in the market and other (often international) sources at high interest rates. As a result, the levels of debt and debt servicing increased in most of the states. In recent years, most state governments were in fiscal crisis and did not have funds for capital expenditures. This has been especially important since state governments are responsible for areas critical for farmers such as rural infrastructure, power, water supply, health and education. Meanwhile, at the central government level, capital expenditure declined as a share of national income, and all public expenditure directed towards the rural areas fell both as a per cent of GDP and in real per capita terms. India’s financial liberalization strategy involved, to varying degree, the standard package such measures designed to make the Central Bank more independent, to relieve financial repression by freeing interest rates and allowing financial innovation, to reduce directed and subsidised credit, as well as allow greater freedom in terms of external flows of capital in various forms. These measures, especially reduced emphasis on priority sector lending by banks, effectively reduced the availability of rural credit and thus made farm investment more expensive and more difficult, especially for small farmers. In addition to declining credit-deposit ratios in rural areas, the shift of banks away from crop lending and term lending for agriculture, the reduction in the number of rural bank branches and less manpower for rural service provision all meant that the formal sector 8 was increasingly unable to meet the requirements of cultivators. Farmers were therefore forced to turn more and more to private moneylenders (who are often also input dealers and traders) in more exploitative relationships. This has brought back the problem of interlinked markets in which control in one market (say, credit) allows control also in other related rural markets such as those for agricultural inputs and crop prices, as well as the labour market. It is clear that the liberalisation policies adopted by the government of India played a dominant role in the agrarian crisis that is now being played out. However, this is not to say that privatisation, liberalisation and globalization are per say bad, or inherently inimical to an economy. It is the ‘one size fits all’ brand of liberalisation adopted by the IMF and the World Bank which forces countries to privatize, liberalise and globalize without exception which has failed. Without taking into account the state of an economy, and in this case, the state and nature of the agricultural sector in India, the IMF and the World Bank, with the cooperation of the Indian government, embarked on mismatched reforms, which have caused misery and despair among millions of Indian farmers, driving large numbers of them to suicide. It is also essential to break the link between aid and liberalisation, which caused India in the first place to accept the conditions of the IMF. Remember that India was on the brink of a financial crisis in 1991 when it applied for the IMF loan and accepted its conditions—perhaps the course of economic reform in India would have taken a very different course if there was no urgent need to borrow from the IMF. The start to this process may have already occurred: recognizing the failure of its liberalisation policies, (and perhaps also the failure of DFID with AP’s power10 reforms) the Blair government of Britain announced in 2004 that it will no longer make liberalisation and privatization conditions of aid. In another blow to the neo-liberal lobby, Chandra Babu Naidu suffered the worst ever defeat in the 2004 state elections in his party’s history, with rural AP clearly rejecting his brand of World Bank sponsored liberalisation. The battle, however, has not yet been won. It is essential for the rest of the G8 to follow Britain’s example in order to influence World Bank and IMF policy towards India to ensure blind liberalization is not pursued, and so that countries like India can adopt tailor-made reforms to suit their economy. 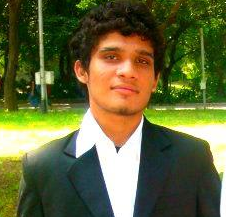 Vani Madhav Pradhan is currently pursuing B.A LL.B from Institute of Law, Nirma University. He is also pursuing Company Secretary Course. He is a quick learner and an avid reader.